Everything was lovely. Staff was more than helpful, just absolutely lovely. Clean. Modern. Higly recommended. Would definitely return. Katherine was so lovely and helpful!! She was absolutely fantastic, I could reach her at any time if I needed anything. She was so helpful - thank you & will definitely stay here again. Cleaned every day, shower was great, loads of room throughout. One of the few places you can actually find a double bed. Kitchen was nice to have, and it's nice to have a safe which actually feels secure for valuables (included in price). The pool (about 50 yards away) is really great too, very clean. Location is ideal, right next to a few pubs and bars, but far enough away from the main action (about a 3 minute walk) that there is very little noise at night. All you can really ask for in these places is something clean and comfortable, with a nice bed and shower, and this ticked all the boxes. It was really clean, had all the utilities we needed and even more and had the most comfortable bed. The bathroom was average, the kitchen is equipped, the room was nice, there is also a safe - so you can lock your values. Towel and bedsheets were clean. The owner of the hotel was really friendly, the cleaning lady did the cleaning every day when we were not in the room. Air-condition is working properl, and also there is a balcony for the room. You have a nice restaurant next to the apartments, Oven Pub, where you have discount, and the meal is really nice, staff is really friendly. Markets are close. All-in-all we spent nice time there. The property owner and the staff were the most amazing people I've ever met. Very welcoming and helpful throughout the trip . Easily the best choice in kavos. The rooms were decent for the price we paid and the food was amazing at the restaurant just outside we received 20% discount. The host was very accommodating she showed us around. 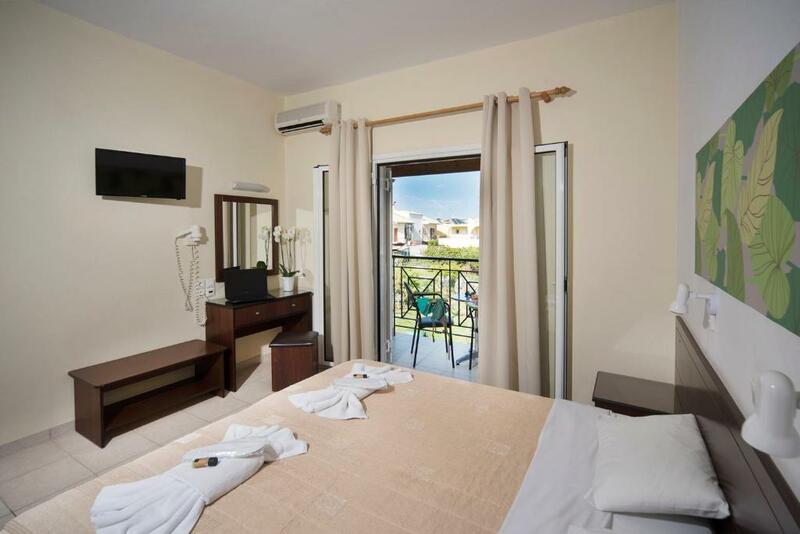 Lock in a great price for Metaxa Apartments – rated 8.2 by recent guests! One of our top picks in Kavos.Within 350 feet from a sandy beach and close to shops, cafe-bars and restaurants, the family-run Metaxa Apartments is located in Kavos Village. The apartments offer free wired internet and a balcony. 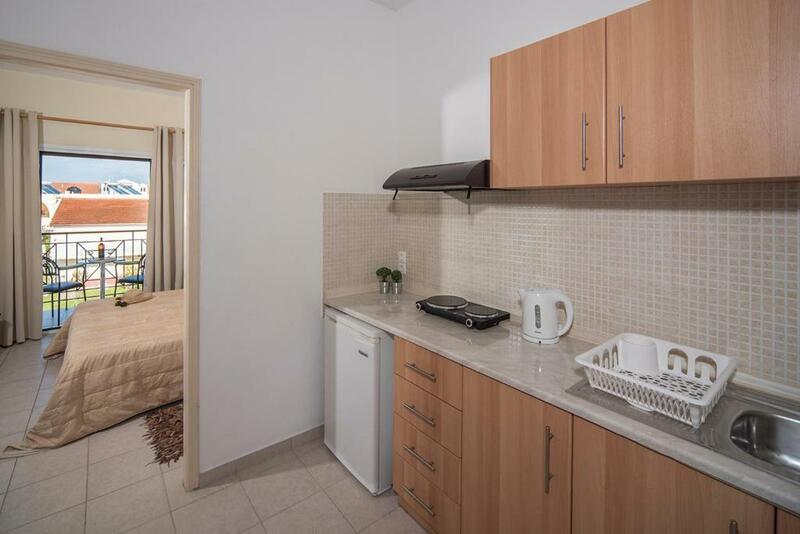 A kitchenette with an electric kettle, fridge and cooking hobs is included in all the units. Each enjoys air conditioning, a safe, cable TV and private bathroom. Guests are welcomed to use the communal swimming pool just 350 feet from the property. Metaxa Apartments provides private parking nearby. A bus stop is within a 5-minute walk. Corfu International Airport is at a distance of 28 mi. When would you like to stay at Metaxa Apartments? Just 328 feet from a sandy beach, this apartments features free wired internet and a balcony. The kitchenette offers an electric kettle, fridge and cooking hobs from the preparation of light meals. Air conditioning, a safe and cable TV are also included. Please note that a choice of 1 double or 2 single beds in the room can be arranged upon request. The Metaxa Apartments Metaxa Apartments resort is only 100 meters away from one of the most beautiful stretches of sandy beach on the island of Corfu. A supermarket, shops, doctor's surgery, restaurants, bars and car rental are located close by. A bus stop with connections to the entire island is about 5 minutes walking distance away. The accommodation is simple but just right for anyone who wants to be right at the heart of everything, with beach, bars, restaurants and shops close by. Ideal for a couple or a small family. The Metaxa family has been greeting their guests from all over the world for the last 25 years. Built by the grandfather, the next generation extended and beautified the resort and it is now one of the loveliest in the whole of Kavos. Impressed by the family atmosphere, many visitors have become regular guests and enjoy their holidays here year after year. The guests’ well-being is the hosts’ number one concern. You will immediately feel welcome and at home here! . Our professional and friendly staff is committed to ensuring that your stay is both enjoyable and comfortable. We will be very happy to accommodate you to our Home Metaxa Apartments! House Rules Metaxa Apartments takes special requests – add in the next step! Metaxa Apartments accepts these cards and reserves the right to temporarily hold an amount prior to arrival. Guests need be quiet between 12:00 AM and 10:00 AM. Guests staying at Metaxa Apartments are offered a special discount at Oven Pub Restaurant. Please inform Metaxa Apartments of your expected arrival time in advance. You can use the Special Requests box when booking, or contact the property directly using the contact details in your confirmation. 3 of 7 days there was no wifi. We were asked to pay by cash. The towels was changed only once a week. The bathroom rug was not change during all week. Too noisy from the main street. No hot water for showers. No reception at the property, which made it hard in some circumstances. Breakfast was very limited (2 bananas, 2 yogurts, 2 croissants, 6 breads, and a box with coffee, sugar, butter and marmalade). There was no ham or cheese or eggs. The pool didn’t really belong to the property, so we had to go to another place to access the pool. Towels were changed once every 5 days! The rooms are a bit outdated and the pictures look better however the beds were very comfortable and a decent size. For some reason there was no hot water coming from the shower which was disappointing we did try and ring/email Metaxa with no response. Was a little tricky dealing with keys at checkin/checkout, as there is no reception (we needed to call the number on the sign, as even the phone number on Booking.com was wrong). We also had a small problem with ants, which the cleaner dealt with every day, but we couldn't leave any food/drink on the side overnight/when going out (even in wrappers) because we'd come back to a conga-line of ants. Not sure there is much they could do about that though, the room was otherwise really clean, modern, and comfortable. This apartment is located in Kavos. Kavos is the party city of the foreign tourists who come to Corfu only for drinking, dancing, make some noise, have fun. So the environment is not the best. At least the hotel is hidden from the main street, so inside the rooms there was not noise because of the tourist who amused themselves until morning.. The pool is not located at the same place with the apartment! It is one street away.. this was not obvious at the time of the booking based on the photos of the apartment.. There is no breakfast included. The noise in the evening was aweful. Our neighbours where young british people who just came to party. So they made a lot of noise. Also the noise from all the bars(music) and people on the street in the middle of the night was not fun at all. The sheets, toewens and kitschentowel was never changed during our 7-day vacation. The pool where we could go was really nice.